LOOK WHAT WE GOT IN THE MAIL THIS WEEK!!!! 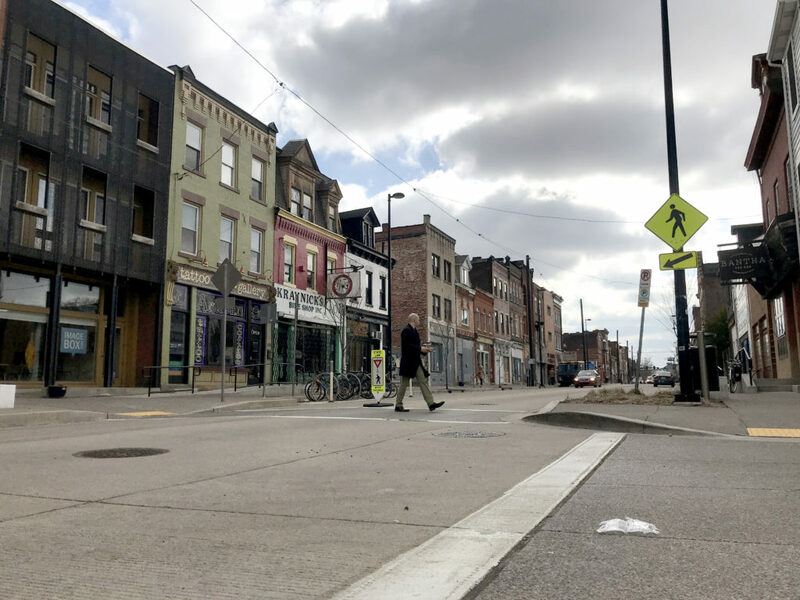 Penn Avenue Arts & Commercial District‘s first PEDESTRIAN PADDLE! We’ve been working with Bantha Tea Bar to improve pedestrian safety at Penn Ave. & Gross St. So we applied for a “pedestrian paddle” (officially a “yield to pedestrian channelizing device”) from Pennsylvania Department of Transportation (PennDOT) back in January. 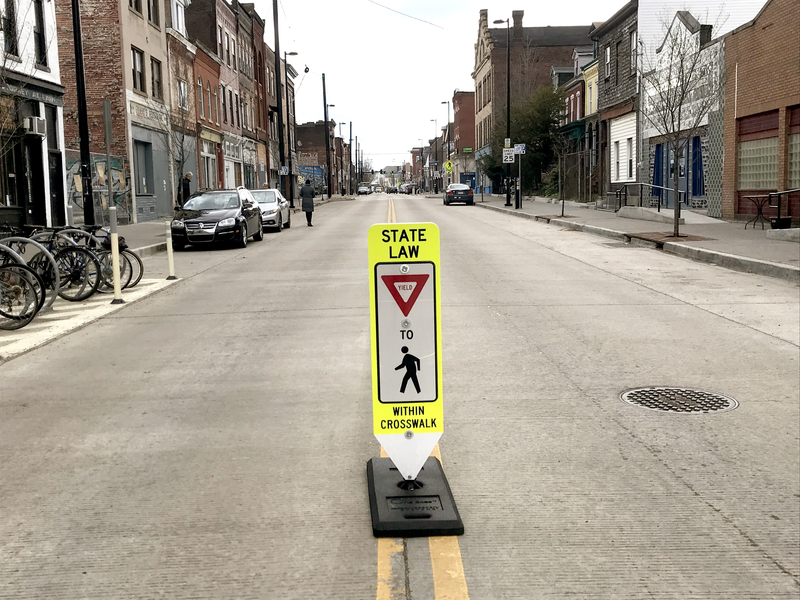 – reminds drivers that it is Pennsylvania law requiring drivers to stop for pedestrians crossing an intersection where there are no traffic controls or traffic controls are not in operation. Violators of the law are subject to a $50 fine. Thanks for helping Department of Mobility & Infrastructure, Pittsburgh City Council District 7, Bloomfield Development Corporation! Get one for your local business district HERE!